← Well that just didn’t work out. Life has been, well, life-like. My father died on September 10th, which left me in no shape to take on any major projects, including NaNoWriMo. 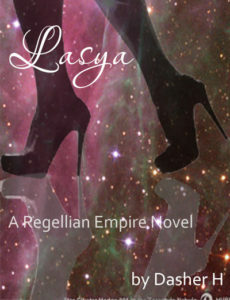 Lasya, though, has been percolating in the back of my mind. I know hir already from other novels, I have written, but zhe has never had top billing. This time, she does. The biggest question is where to put hir in time. All else will flow from there. Before the untimely demise of Emperor Melior? At the start of the civil war between Emperor Wooren and his upstart brother who covets the throne? At hir return to the Capital after the civil war has ended? When zhe puts the Empire behind hir to live on a strange planet in a distant universe? Or some other time? I have time to decide.